On January 8, 2015, Chef Bob Harre and Chef Wolfgang Geckeler started a heart-healthy soup program at the Atlantic City Rescue Mission, in Atlantic City, New Jersey. Their goal was to make sure the homeless clients at the mission had heart-healthy food at least three times a week. Since then, their “Souper Chef” program has served over 75,000 bowls of heart-healthy soup. This cookbook is a collection of 40 of the best soup recipes from the professional chef volunteers, who hope that you will enjoy making and serving them as much as they have. 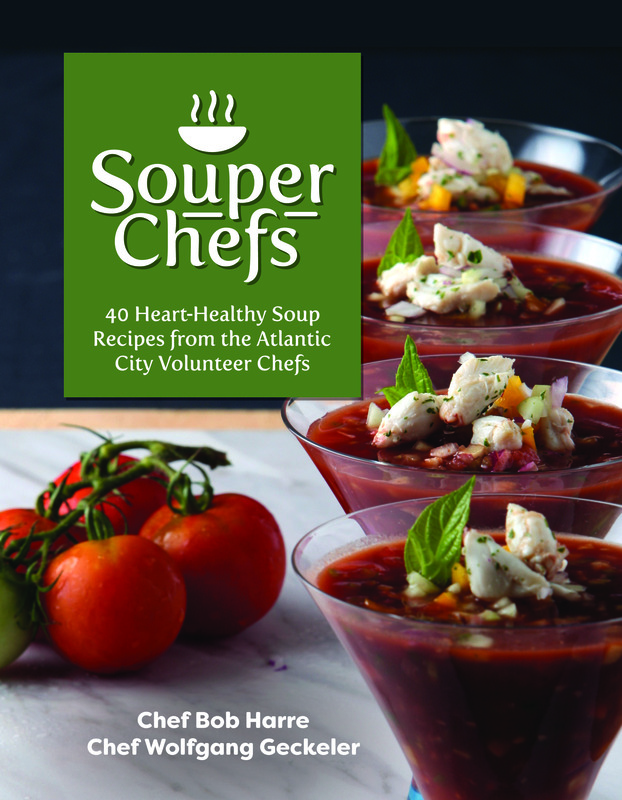 100% of the proceeds from this cookbook go to support the Atlantic City Rescue Mission.